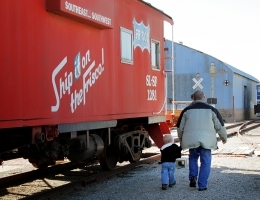 The arts and history blend together in Enid, Red Carpet Country’s largest city and home to one of only seven Certified Cultural Districts in Oklahoma. 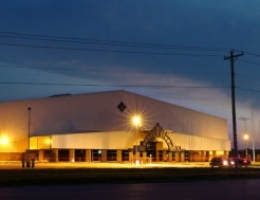 Enid’s walkable Arts and Entertainment District includes the historic downtown square, two square blocks full of boutique and antique shopping, some of Enid’s finest and most varied cuisine and a First Friday celebration April through November filled with live music, creative artists and themed activities. 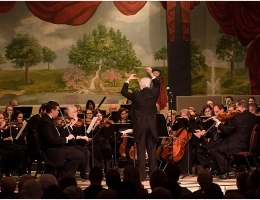 The Enid Symphony Orchestra, Oklahoma’s longest-running symphony since 1905, lives here, as does the Gaslight Theatre, one of the state’s most active community theatres and Oklahoma’s only free Shakespeare in the Park. You’ll find the Central National Bank Center here, which opened in 2013 and is already established as the region’s top entertainment venue having hosted concerts by music superstars including Reba, Willie Nelson, Alabama, Kansas, Casting Crowns and Mannheim Steamroller. 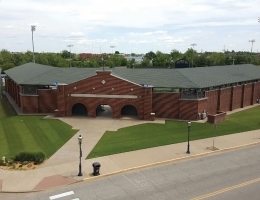 Right across the street is David Allen Memorial Ballpark, home to the junior college World Series and over 270 events per year. The district also holds art galleries and several public sculptures, many designed by native son and Oklahoma Hall of Famer H Holden. Do you like movies? 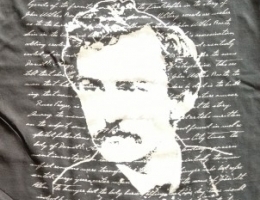 You could say Enid is located where “Lone-some Dove” meets “Far and Away,” as those productions represent two of the most significant historic events in the Old West. 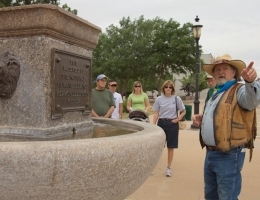 What we know today as Government Springs Park was known up and down the Chisholm Trail as a popular stop to water cattle. Join us in 2017 as we celebrate the 150th anniversary of the Chisholm Trail. 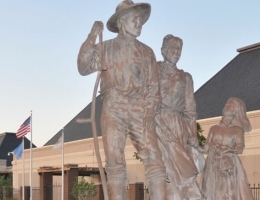 Enid was also the site of one of four land offices for the Great Land Run on Sept. 16, 1893, when 100,000 land-hungry settlers charged into the Cherokee Outlet to claim their land and start their new lives. 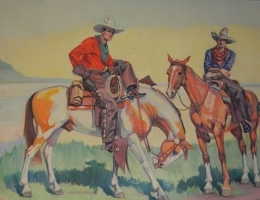 A visit to the Cherokee Strip Regional Heritage Center reveals a Smithsonian-quality facility that tells the settlers’ story in a way that puts you right in the saddle astride your galloping horse toward the Land Run office. 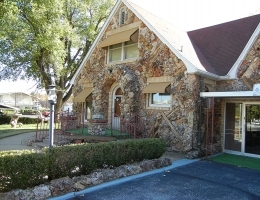 You’ll also step inside the only remaining original Land Run office from any of Oklahoma’s seven land runs. Not only will you find a waterfall at Government Springs Park, you’ll also find Dillingham Garden, beautiful any time of the year and a prime landing spot for monarch butterflies in late September during their annual migration south to Mexico. 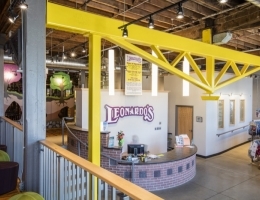 For family fun, Leonardo’s Children’s Museum is newly renovated and includes a two-story indoor Power Tower as well as the three-story outdoor playground, Adventure Quest, and propel a pump car up and down the tracks at the Railroad Museum of Oklahoma, home to one of the largest collections of railroad material in the country. Enid is also home to Oklahoma’s official Vietnam War Memorial. An 80-percent replica of the Vietnam Wall in Washington, D.C. is on permanent display at Woodring Regional Airport. 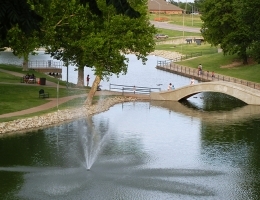 Enid offers over 1,200 lodging rooms, over 100 restaurants including more than 50 uniquely-Enid eateries, and a vast assortment of shopping from national retail stores to quaint, locally owned shops. 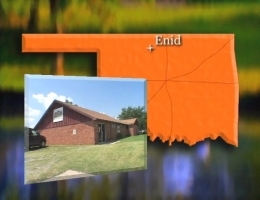 Enid has something any visitor will enjoy, and VisitEnid.org has current information to help you plan your visit. 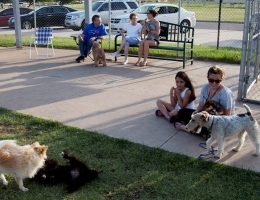 Enid’s official dog park is divided into two areas for small dogs and large dogs. 7th St. & Owen K Garriott Rd. 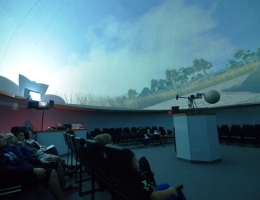 View the sky as it appears during any hour of the night of any year from any location on Earth inside one of the largest planetariums in Oklahoma. 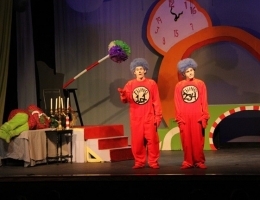 Open Wednesday and Thursday at 7 pm during fall and winter and at 9 pm during spring and summer.